Current job and internship openings are listed below. If you are interested in an internship with us not listed, please contact our Executive Director at lynne.nemeth@thearb.org. 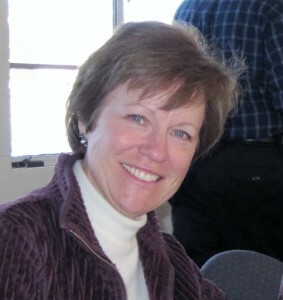 Lynne Nemeth was appointed Executive Director of The Arboretum at Flagstaff in February of 2012. Prior to moving to Flagstaff in 2006, she served as Executive Director of the Howard County Conservancy, a land trust and environmental education center in Maryland. She has an extensive background as a non-profit administrator, and has worked for environmental, health, human services, and arts organizations. She holds an M.M. in Music Performance, and an M.A. in Environmental Studies, and teaches a freshman seminar about endangered species at Northern Arizona University. She has researched and written special reports about philanthropy and presented papers about gray wolf (Canis lupus) conservation at national and international conferences. She is certified in Wildlife Handling and Chemical Immobilization, and has studied tracking with Paul Rezendes, John McCarter, and Jim Halfpenny. Nemeth has sung professionally, and currently performs with the Master Chorale of Flagstaff and the Arizona Mountain Chorale. She lives with her husband, two horses, a dog and cat, and seven chickens. 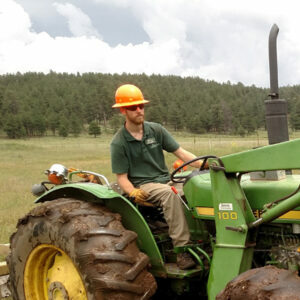 Kris started with The Arboretum in 2006 after a three-year post-doc at Northern Arizona University (NAU) working in a mycorrhizal ecology laboratory. After growing up in New Hampshire, Kris moved to Lexington, KY where she completed her B.S. and M.S. in Biology at The University of Kentucky. 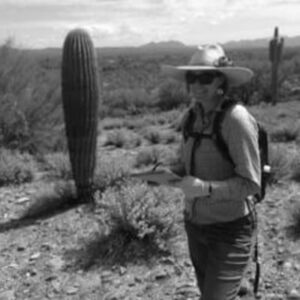 She then attended NAU for her dissertation work in piñon-juniper ecosystems. 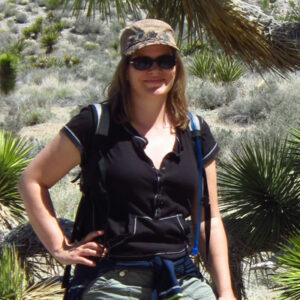 Currently, her research interests include conservation ecology of rare plants, restoration ecology and developing native plant materials for re-vegetation. Kris recently completed co-editing a technical book on plant reintroduction entitled, Plant Reintroduction in a Changing Climate: Promises and Perils, with her dear colleague Dr. Joyce Maschinski. Dr. Haskins lives happily with her husband, two boys, two horses, two dogs, five chickens and four fish. In her rare spare moments, she enjoys horseback riding, reading juicy fiction novels, and playing with her kids. Coreen joined the team at The Arboretum in the summer of 2016. Born and raised in Phoenix, she is happy to call Flagstaff her home after living in San Diego, California for 8 years. She loves to travel and her excitement for new people and places has taken her to destinations including Uganda, Ethiopia, Ireland, Chile, Argentina, and Peru. Most recently, she hiked 1,500 miles on the Pacific Crest Trail with her fiancé. 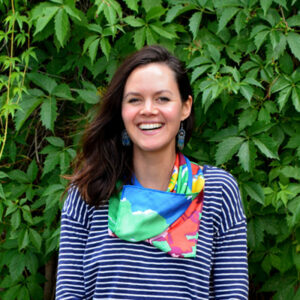 She has spent several years working at nonprofits to coordinate programs and events that bring people of all ages together to better understand and care for the natural world. In addition to teaching outdoor and garden education, she loves growing vegetables, sleeping outside, and enjoying good food with family and friends. Victoria has a Bachelor of Science in Graphic Design from the Art Institute of California, San Diego. After graduating in 2007, and living in Guam for 2 years, she spent 2 more years traveling with her Park Ranger husband and two daughters throughout the National Parks, crossing the country in their RV twice. Victoria thoroughly enjoys learning about and making connections with people, and creating beneficial partnerships with the Flagstaff Community. Victoria began at the Arboretum in summer 2015 and quickly moved into a permanent management and then directorial position and is so excited to see the potential in this organization and watch the Arboretum grow. In her spare time Victoria loves camping, hiking and traveling with her family, watching documentaries, cooking and DIY projects. Alexis Holle has lived in Flagstaff since 2000. After graduating from Southern Illinois University with a BFA in Painting, she headed west in search of an artistic and open-minded community in which to raise her then infant son. She found what she was looking for in Flagstaff, and has been an active member of the downtown cultural scene ever since. In addition to her artistic roots, she has extensive experience in the hospitality industry, having worked for several restaurants and catering companies over the years. She was also the owner and proprietor of Sundara, a boutique, art gallery, coffee house and music venue formerly located in downtown Flagstaff, from 2007-2013. She currently works as the Facility Rentals Manager for the Arboretum, as well as a freelance wedding and event planner, designer and consultant. 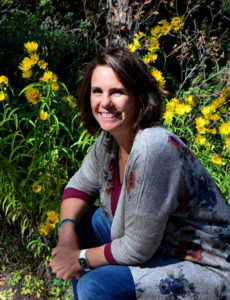 Sheila’s main interests are the rare and endangered plants of the Colorado Plateau, and she contributes to The Arboretum’s mission by collecting, growing, and studying these native plants. Sheila grew up in the small ghost town of Jerome, AZ and has always had a love of the outdoors. 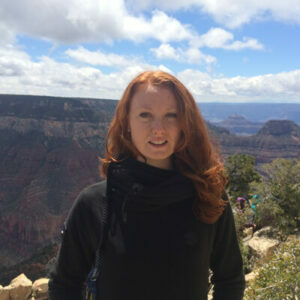 She moved to Flagstaff to pursue a career in the natural sciences, and received her B.A. in Environmental Sciences from Northern Arizona University. She has been on the plant research track at The Arboretum since 2001. When she finds free time, she enjoys river rafting, hiking, cross-country skiing, creating botanical illustrations and indulging in other forms of artwork. Most of her free time activities inevitably include botany in some fashion. A resident of Northern Arizona since 1996, Gayle’s interest in native plants was sparked while living and working in the backcountry of Sequoia National Park, CA. She was inspired by her friend, a park ranger and botanist, as they backpacked and “botanized” throughout the High Sierra. After three seasons in Sequoia, Gayle returned to Flagstaff where she earned a B.S. in Environmental Studies from Northern Arizona University. After graduation, she enrolled in the AmeriCorps program and served a one-year term at The Arboretum at Flagstaff. 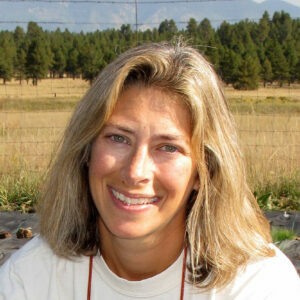 Gayle has worked for the US Forest Service, the National Park Service, Grand Canyon Trust, and as an environmental consultant. Her botanical career has brought her to destinations throughout the Colorado Plateau and the Navajo Nation, including Canyon de Chelly National Monument, the dramatic landscapes of Southern Utah, and hiking, backpacking and river running through the Grand Canyon. Gayle continues to be involved with the Colorado River community by working part-time as a whitewater rafting guide during the summer months. She is thrilled to be back at The Arboretum, contributing to its mission to showcase and conserve the unique plant diversity of the Colorado Plateau region. Shannon Benjamin grew up exploring the foothills and sequoia groves of the Sierra Nevada Mountains before moving to the Siskiyou Mountains of Southern Oregon. There she became a devotee of the remote river canyons and peaks boasting rare plants like the carnivorous Cobra Lily. Shannon first moved to Flagstaff in 1998, drawn by the Southwest’s wild places, diverse cultures and Flagstaff’s distinct seasons. Concern about the Colorado Plateau’s fragile landscapes including lack of respect for natural areas and a changing climate necessitated a career change from customer service in the tourism industry to a mission-driven line of work. She volunteered as a Docent for Riordan Mansion State Park, graduated the Flagstaff Leadership Program and was featured in the Daily Sun “Crazy for Corvids” for her popular program celebrating these smart birds. Shannon worked for the Museum of Northern Arizona for eight years in Visitor Services, Education and Volunteer Management before joining the Arboretum at Flagstaff as Volunteer and Tour Coordinator. She loves working with volunteers to educate and inspire our visitors to get out into nature and protect wild plants and places. 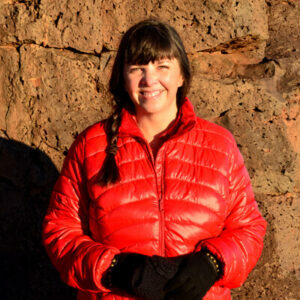 Shannon spends her free time reading about the Southwest, hiking and exploring canyons, craters and mountains with her husband and photographing the spectacular Colorado Plateau. Chad grew up in western Texas and spent much of his free time mountain biking and hiking through the mountains of Texas, New Mexico, and Southern Colorado. In 2010, he moved to Flagstaff and attended Northern Arizona University where his love for the Southwest continued to grow. Chad received a B.S. in Parks and Recreation Management with an emphasis in forest ecology. He enjoys spending his days off with his girlfriend Abby, tending their vegetable gardens and hiking with their two dogs. 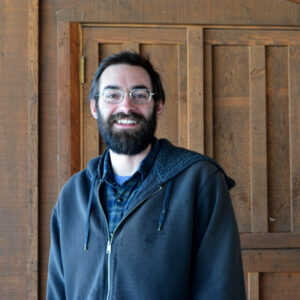 Chad started at the Arboretum in early 2016 as a horticulture intern and quickly developed a passion for working with others to help creating beautiful, beneficial, and sustainable landscapes. He has come back for another season of work, now as Gardens Crew Leader, excited to continue caring for the gardens and the wildlife they attract. A Flagstaff native, Finney grew up enjoying a childhood lived in the areas canyons, woods and creeks. 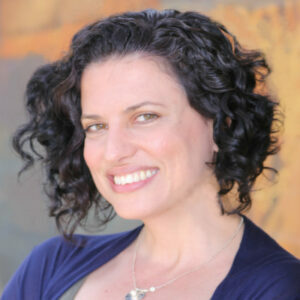 Finney holds both a BFA in Museum and Community Education and a BFA in Studio Art Photography from the University of Arizona. He is currently an Arizona State University Masters Candidate in the Fulton School of Engineering. Kirsten is virtually a native of Flagstaff, having lived here since she was seven years old. She graduated from Northern Arizona with a BS in Criminal Justice. For nearly 10 years Kirsten owned and operated a successful scrapbook/craft store, where she was allowed to expand her creativity and accounting skills. When her daughter was heading to college, she left the creative world for university accounting, which led to The Arboretum. Kirsten and her husband Don (a true Flagstaff native) have an adult daughter and a menagerie of dogs and cats. They enjoy hiking around Flagstaff and Sedona, kayaking and paddle-boarding in northern Arizona’s waterways and traveling to beach destinations. Kirsten loves mixed media art and attending art retreats, reading novels, podcasts, hanging out with family and chasing sunsets.